For many centuries premises selling alcohol for consumption were limited mainly to coaching inns for travellers requiring overnight accommodation or local beerhouse. Many of the establishments recorded for census purposes were listed with a variety of names including tavern, inn, beer house, public house, and later 'off license'. Each was a distinct type, depending on the size and the amenities offered. The owners, especially of the larger premises, were sometimes listed as ‘victuallers’. In many rural areas including Croxley Green the term 'beerhouse' referred to a business run by a wife to supplement her husband's income, usually from one of a variety of country or farm occupations. Beer was the preferred drink by many, considered a safer option, as water was generally unfit for consumption until measures were introduced to eliminate contamination. However, the term ‘beer’ was simply used for ale-water that was made from malt, barley and yeast. Ale-water technically only became beer when hops were added. Hertfordshire's reputation during this early period for growing good barley became important in encouraging the growth of the brewery industry. Barley growing saw a significant rise in the area, as part of the agricultural production that played such an important part in England's economy in the nineteenth century. As transport facilities and local roads connecting towns and villages improved opportunities arose where local breweries could be set up especially when their recipes were of high quality and flavour. Samuel Salter of Rickmansworth became a well known local brewer and delivered casks to the local pubs. Samuel arrived in Rickmansworth c1720, aged about 25 years, and settled in the town and began his family business - the exact date not known. With the Grand Union Canal making its way south from Braunston to London many branch canals were cut to allow businesses easy access to the main section. One of these was specially dug to the Salter's Brewery and known as Salter's Cut. It is still visible today, although the brewery has closed and the site has been redeveloped. Other brewers known to have supplied Croxley Green were Benskins of Watford (some of the original premises now house Watford Museum) and further afield Taylor-Walkers from Stepney, London, and Thomas Clutterbuck of Stanmore. The Wine and Beerhouse Act 1869 reintroduced the stricter controls from the previous century. The sale of beers, wines or spirits required a licence for the premises from the local magistrates. As these new laws were introduced and a compulsory license for each premise had to be approved it became usual for premises named beerhouses to provide only beers whereas a public house sold beers, wines and spirits. Considered a popular meeting place for the male working class, these facilities in the countryside provided opportunities for social gatherings, where men could meet and enjoy their leisure times. As focal points in the community, Croxley Green had many such premises, often with sporting connections and teams who would compete against each other. Early popular games were quoits and skittles; others such as darts and dominoes soon followed. At the time when the new licensing laws were beginning to place more controls on premises, the Rickmansworth area, which included Maple Cross and West Hyde as well as Croxley Green, had the highest number of licensed premises to concentration of population in the county. 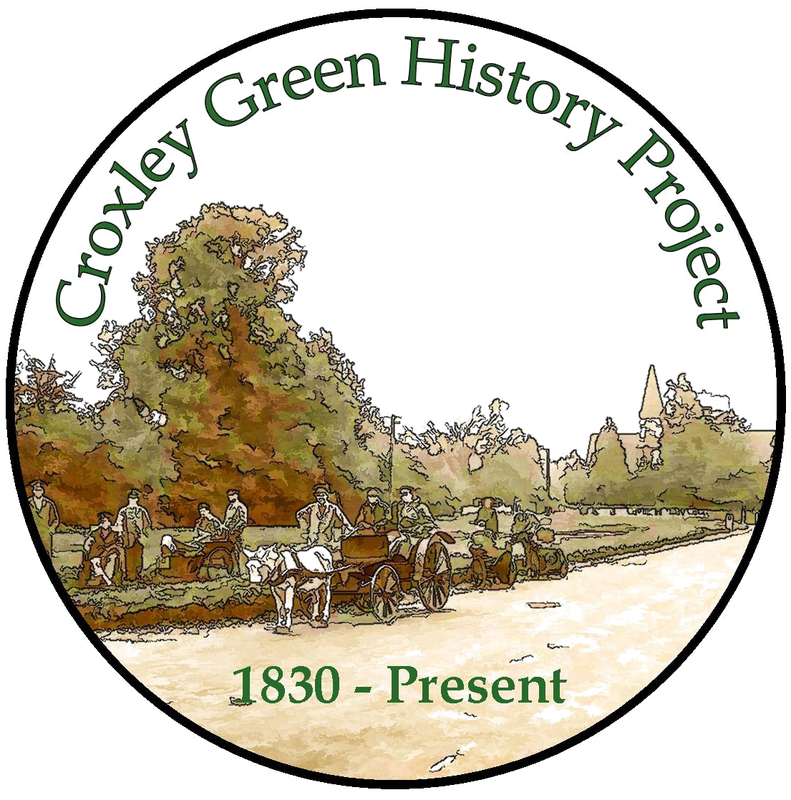 Listed with thirty four public houses and twenty beer houses, Croxley Green certainly made a contribution to these numbers, but they fell drastically in the area over the years. 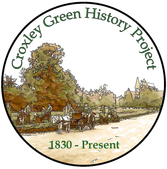 By 1900 Croxley Green had approximately nine establishments where alcohol could be obtained. They were, on Scots Hill, The Plough, The George & Dragon and The Sportsman. The Green provided tranquil settings for The Artichoke and The Coach & Horses. New Road had The Fox & Hounds and The Rose. Along the Watford Road was The Duke of York (previously named The Gladstone Arms) and The Red House, and at Cassiobridge nearby to the canal The Halfway House. In due course The Two Bridges was built at the junction between Baldwins Lane and Watford Road, replacing The Halfway House, which was demolished when the bridge was widened. At the present time the public houses still remaining in Croxley Green are The Sportsman, The Artichoke, The Coach & Horses, The Fox & Hounds, The Red House. The Two Bridges is now a restaurant called The Harvester. There are two social clubs also with bars, The Community Centre and The Guild of Sports. Public houses have changed considerably since the times when large brewery companies had the monopoly over a long period and now many have reverted to offering customers a much wider choice, including 'local special real ale/beers.' Food is often available and in many cases the pubs have virtually become restaurants, providing a comprehensive menu as well as alcohol and beverages.